Steak marinated and sauted in a cast iron skillet and combined with gaucamole and salsa in a flour tortilla. San Diego has a unique brand of Mexican Food. You can get traditional Mexican like you’ll find anywhere else in the states. But, the the unique thing about San Diego is the taco shop. They are everywhere. They’re not all great, but most are above average. The menu is similar whether you go to Roberto’s, Rigobertos, Albertos, or Lolitas. Rolled tacos, burritos, tortas, tacos, and such. Everyone has their preference. I grew up next to a Lolitas. Still my favorite. Served fast and at all hours. It’s what you miss most about San Diego besides the weather when you leave. It’s the first place you go when you get back. For me, it’s the carne asada burrito or torta. I’ve been trying to recreate it for years now that we live on the east coast. I’ve gotten pretty close here with this recipe. I’ve made it slightly more elaborate than you’d get in a taco shop, but not much. Carne asada translates to “grilled steak.” I’m not grilling it here. I’m cooking it in a cast iron pan. In a taco shop, they’d cook it on the flat top. You can use a variety of cuts. 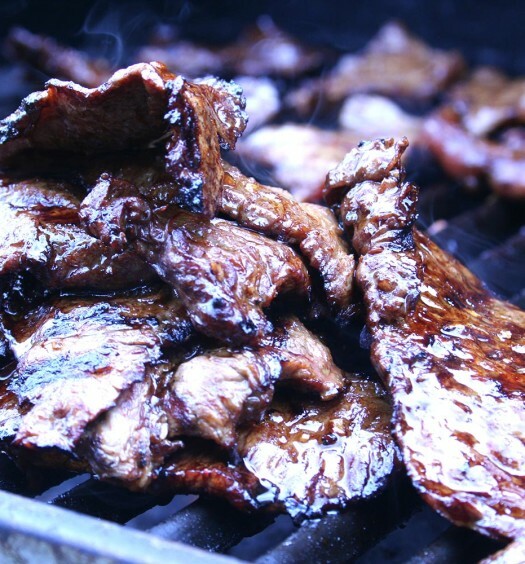 I always use steak tips or “flap steak” It’s a nice tender, marbled steak. You need a bit of fat in the steak. 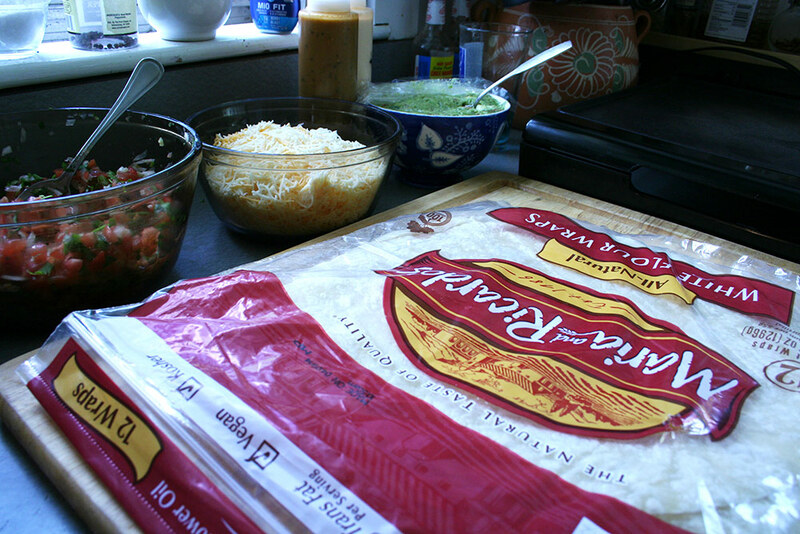 On a griddle, at 300º, place a tortilla and cook for 30 seconds or so. 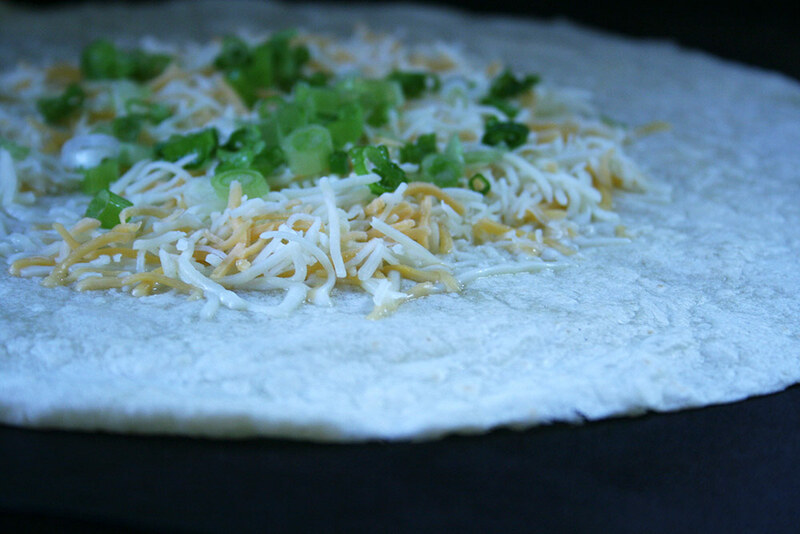 Flip and add a small handful of shredded cheese and a pinch of the scallions. Cook for another 30 seconds or so until the cheese begins to melt. Remove to a plate. In the center of the tortilla add steak, guacamole, pico de gallo, queso fresco, and chipolte mayo. Fold burrito. Pull in the left and right side and meet in the middle. Push down a little. 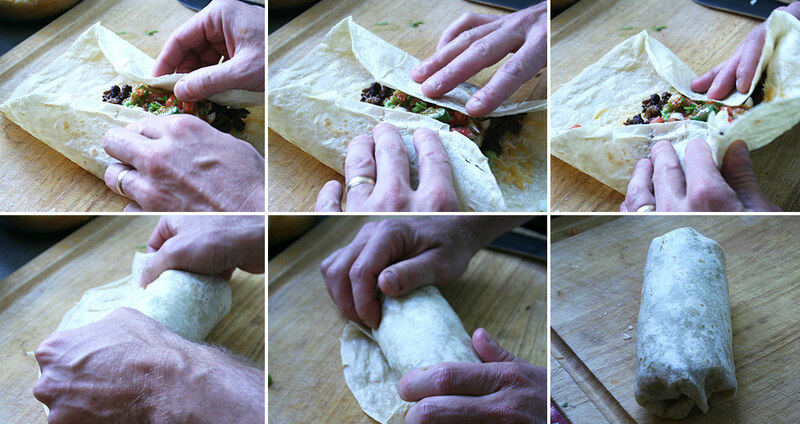 Pull the tortilla end closest to you to the opposite side and tuck. Tuck in the left and the right side to round out and roll forward to finish. Now I wouldn’t normally tell someone how to eat something, but there is a special way to eat this burrito. Each bite needs a little hot sauce. I like Valentina, Cholupa, or El Yucateco. Or you can make your own using this recipe. It’s what you’d get in a taco shop. thank you! i’m trying your carne asada recipe tonight. we too are san diegans relocated to the east coast and have been trying forever to duplicate our awesome burritos. i have been using that hot sauce recipe for a couple of years now and just recently our kroger started selling uncooked flour and corn tortillas from san diego. they are the best! so i’m hoping this will be the missing link in our carne asada burritos. so many recipes out there for the meat are too complicated. i know our taco shops are more simple like yours. thanks! Awesome. It really is all in the tortillas and steak. How did the burritos turn out? they were super, thank you!! i even made some for the neighbors, who say they are “mexican” ha, and they thought they were the best thing ever! my husband isn’t a fan of the soy sauce so i left it out the next time. but still…soooo great!! and much cheaper than a trip back home! Hey there! Love this idea and we will definitely try it out! We too are relocated San Diegans who have been searching for a replacement burrito…but Tex-Mex is the only available in Houston and it really just doesn’t cut it for us! This recipe looks yummy and will be tried soon! You could add as a side note that putting in some french fries will give you a California Carne Asada Burrito…which is equally not healthy (but delicious)!! Hey Meghan. Glad you found the site. 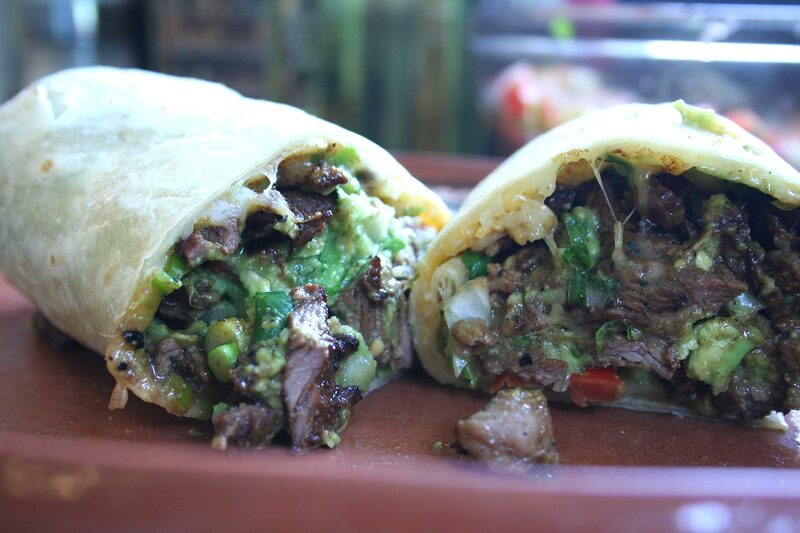 Nothing beats a carne asada burrito. This is a pretty tasty recipe. I hope you like it. 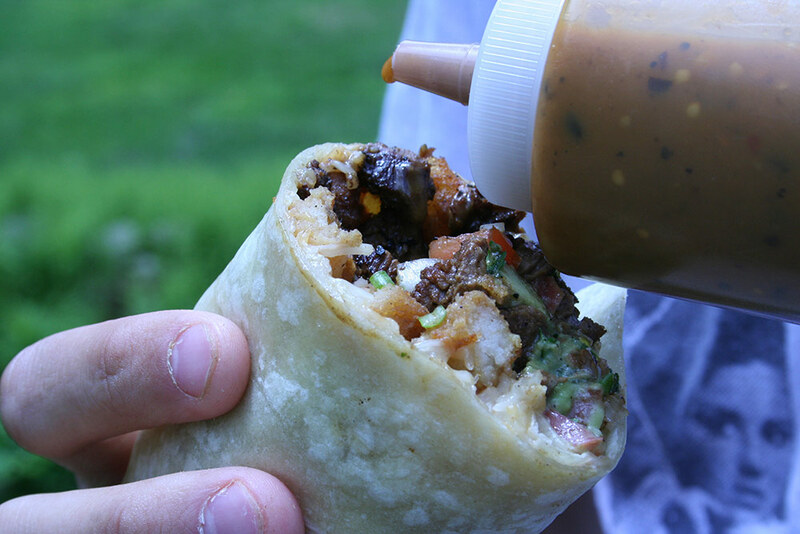 I have the California burrito on the site as well. Not so healthy, no. But it is awesome. I’ve got everyone hooked here in New Hampshire. So yeah I lived in San Diego for 4 years and then move back east. I got so hooked on Alberto’s carne asada burritos I’m telling you. So while I was pregnant with my daughter I was craving a carne asada burrito. At this time I was back in Detroit and there’s a section of the city where all the “authentic” Mexican restaurants are, went to get a carne asada burrito and none of them could come close to Alberto’s. “It’s what you miss most about San Diego besides the weather when you leave. It’s the first place you go when you get back”. Oh my gosh, truer words have never been spoken.! I spent the first 30 years of my life in San Diego, and now when I return with my young son, we stop by Aldabartos on Rosecrans, regardless of what time we fly in, to eat a carne asada burrito. We pretty much don’t eat anything else on a two-week trip, even though there are admittedly a lot of wonderful restaurants to go to in San Diego. Sometimes my son says he wants to live in San Diego, but I know it’s just for the carne asada burritos. I am going to make this tonight! 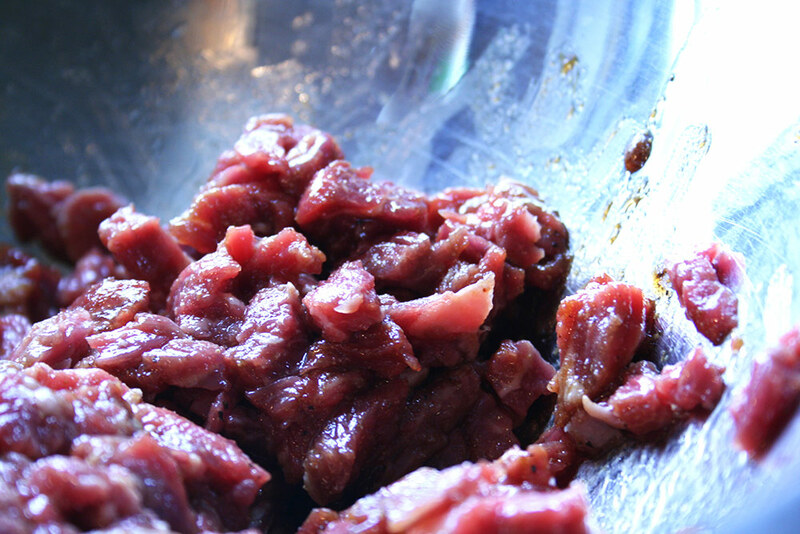 I have skirt steak with plenty of fat in it – essential. Love hearing everyone’s comments – totally relate, sigh. As an update, I have now made this many times. I use chopped fresh garlic instead because I don’t have any garlic salt on hand. I use skirt steak, which I found is better than flank steak and gives that juicy, moist flavor we have come to expect in a carne asada burrito. 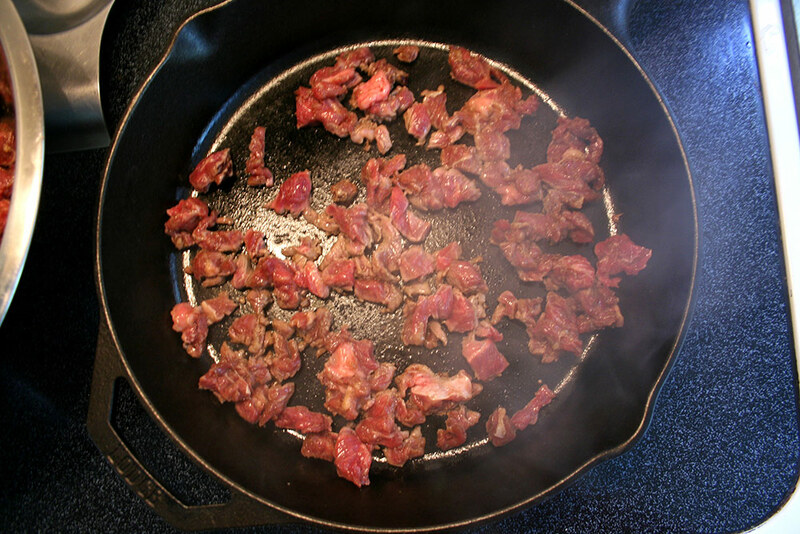 I have been using a wok on high heat, and cooking just a little meat at a time so that I don’t steam it and I get good carmelization on the meat – this is what gives it the flavor. When I’m lazy and cook too much meat at a time, it doesn’t get that wonderful flavor. I leave out the green onions and mayo and cheese because I usually order a carne asada burrito with salsa and guacamole. 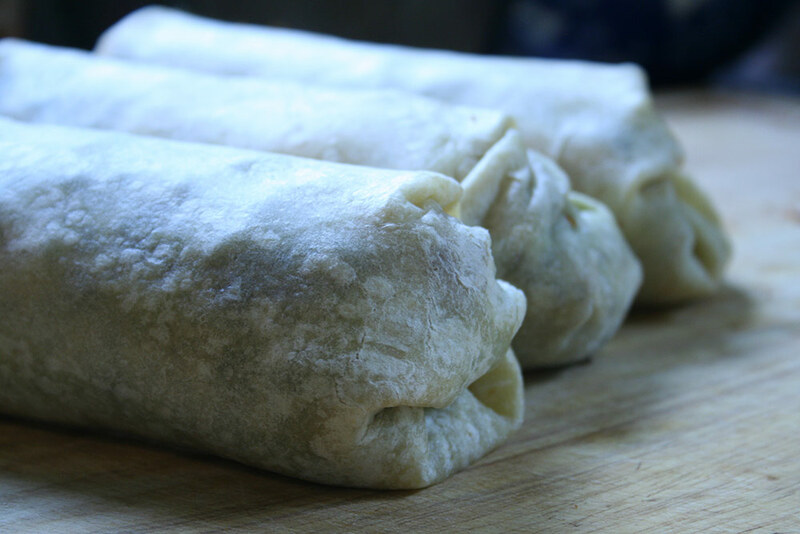 The weak link in my carne asada burrito is my tortilla – just the typical store bought one and not the authentic thinner ones used in San Diego. WHO TOLD YOU I SAID THAT?! Wow, I was stationed in San Diego in the late 80s, and practically LIVED in Roberto’s at Mission Beach. The carne asada burrito was my holy grail of yumminess, and I always got it with a double-dip of salsa verde, enough to melt the non-skid off a flight deck! Thanks for the recipe, I’ve never found an equivalent, or have been able to get close myself. 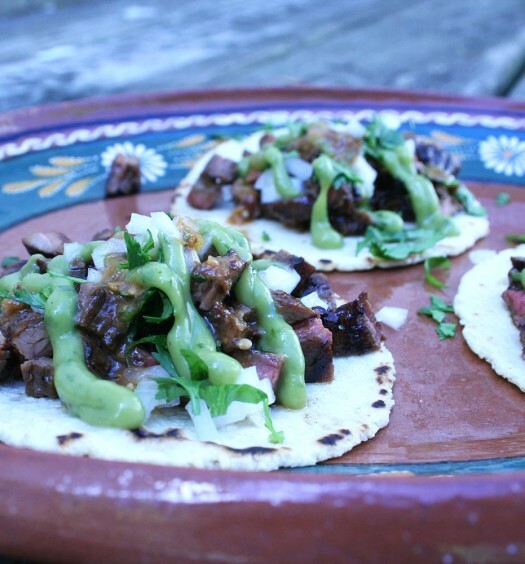 I now currently live in Alaska and short of trying to get my niece to FedEx me a carne asada burrito, I finally resorted to searching the internet for the Roberto s carne asada recipe and came across this site. Rockstar post, us San Dogs in far east miss our Diego grubb so this will help. 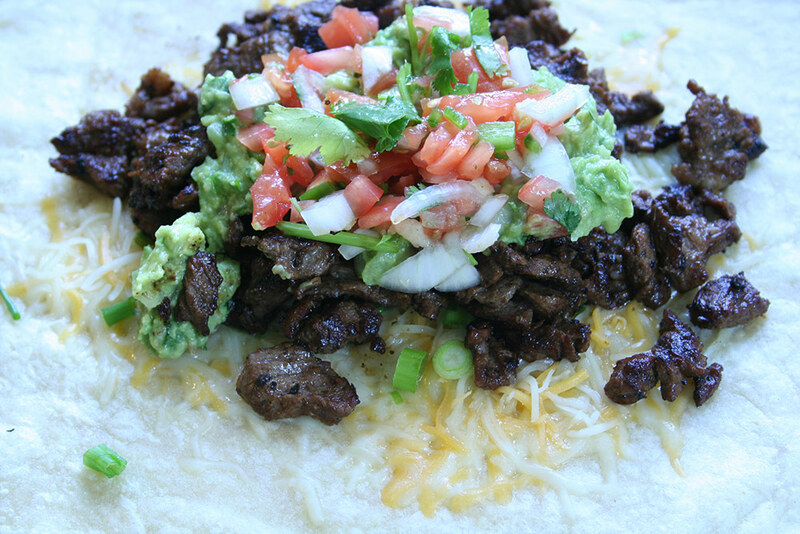 Sounds close but you don’t put Cheese in a Carne Asada burrito..a real Carne Asada burrito is Carne Asada,Pico de Gallo And guacamole… that’s it! Djrickcurl from San Diego California!!!!! What size do i chop the meat? ?